CAS is one of the core elements of the IB Diploma and is required for anyone doing the IB Diploma, but everyone is welcome to participate! It is a great way to develop skills and broaden experiences. The goal of CAS is to encourage students to push their boundaries and take risks through investigation, planning, action and reflection. 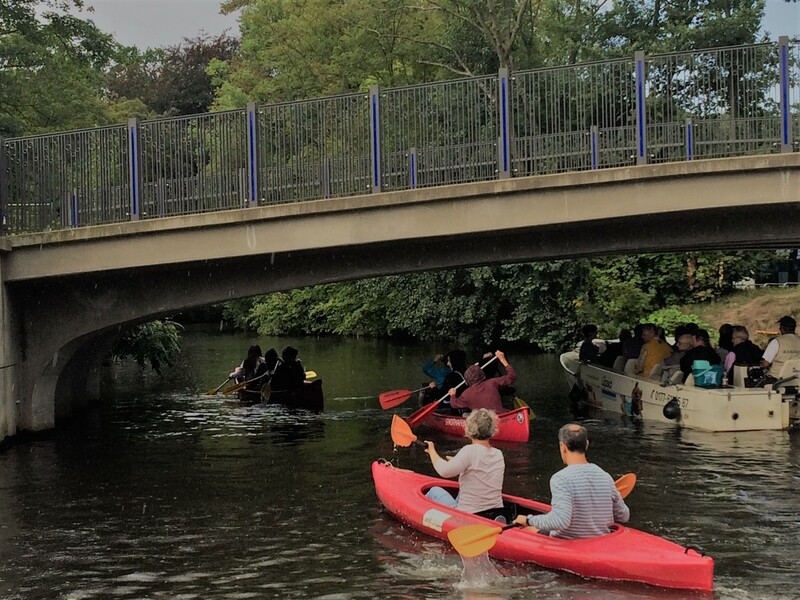 Over the past years, BeBe students have participated in a wide variety of CAS activities, a few of which we list here below. Some activities would fit into more than one category! Students Jan Kurfürst and Cedric Kotte founded and perform regularly with their band, The Swinging Muffs. 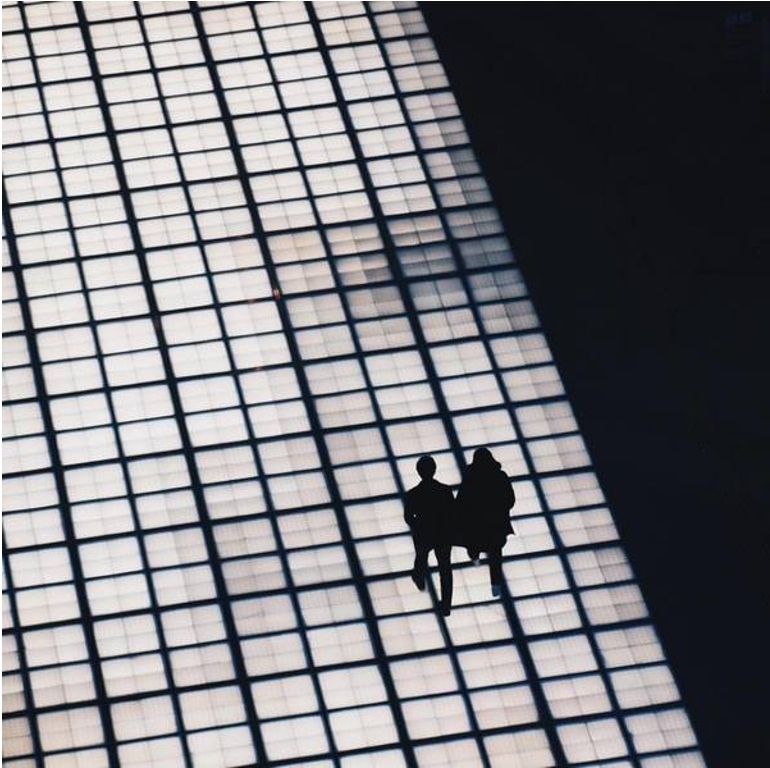 Student Greta Gabsch expanded her creative work with photos taken at home and abroad. Student Jakob Heubner not only played Monarch football, he volunteered as a referee at the men’s Monarch games. 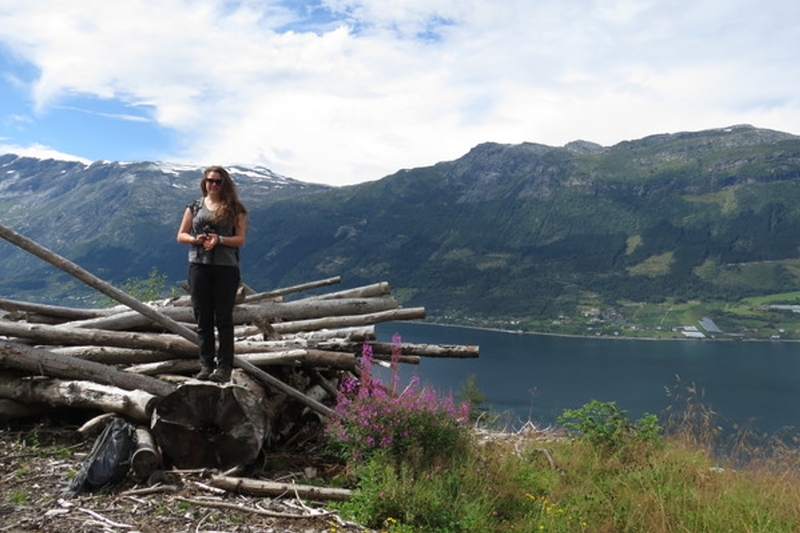 Students organized hiking trips with family and friends. Photograph by Malwina Lüttig. 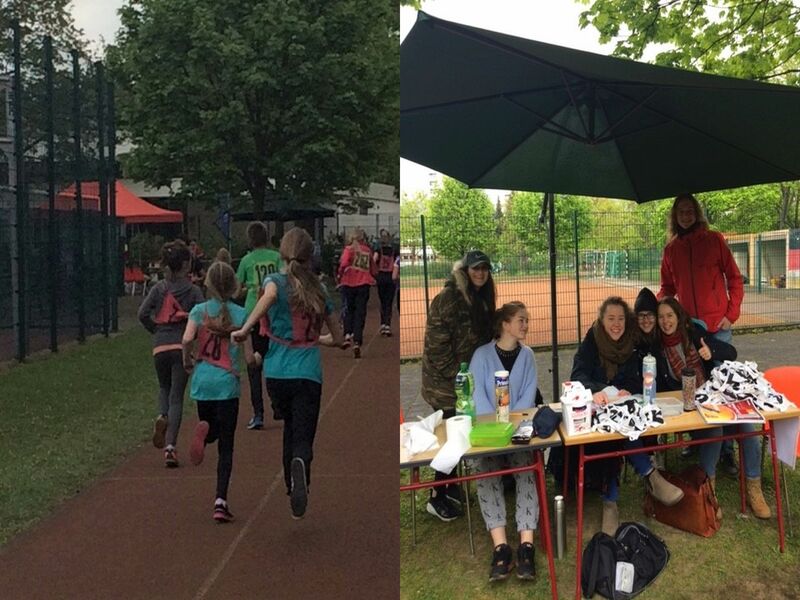 Students in grade 11 organized the annual Spendenlauf 2017 for all BeBe students, raising money for the clean water projects of arche noVa. 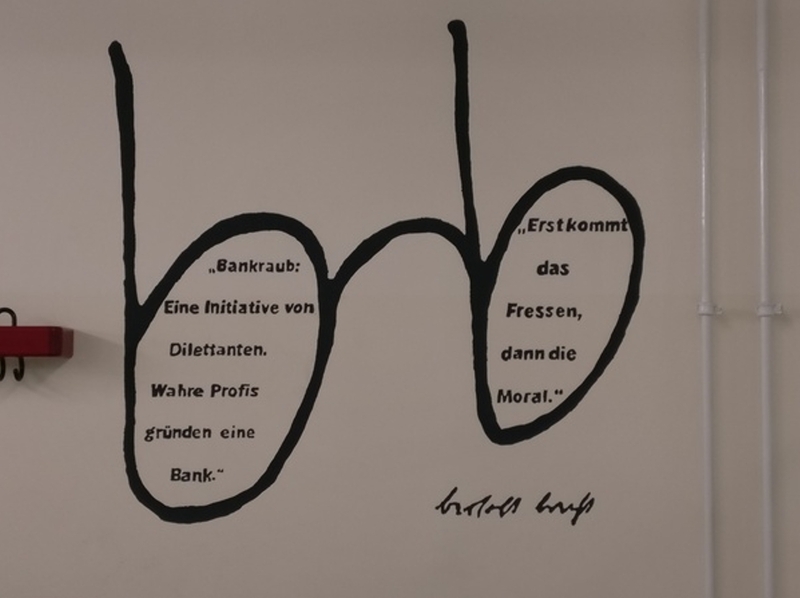 Wall murals with quotes from Bertolt Brecht were designed and painted by students to improve the classroom environment. 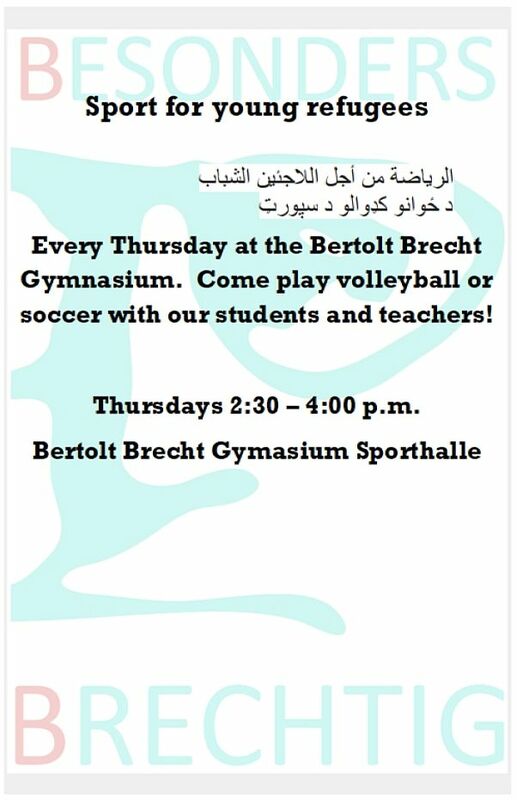 A poster for student project encouraging interaction and integration. The logo was designed by CAS student Wilhelm Körner as part of his creativity portfolio. 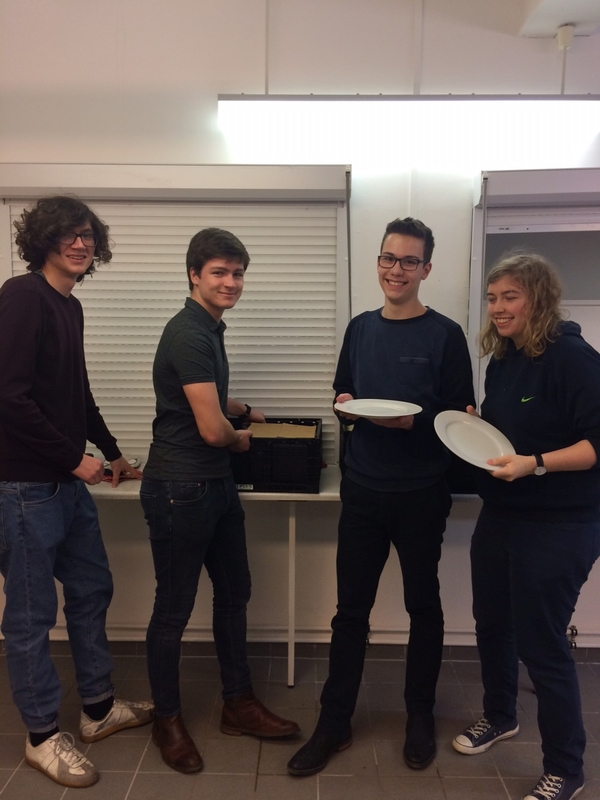 On 12 January, the first ever Student Restaurant served 143 3-course meals to BeBe students and their families. 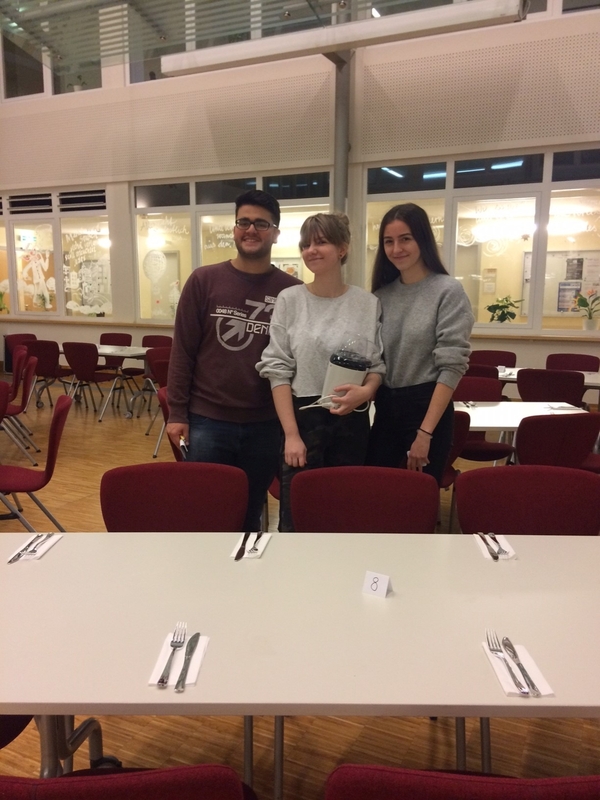 Organized by 12th graders Nils Fiebig and Emilie Ploß as part of their IB CAS service project, BeBe students prepared and served bruschetta with tomatoes, salmon in mustard cream sauce and a heavenly crème brûlée to their diners, earning 2,200€ to support this year’s Abiball. Special thanks to family Bou Hamze and family Ploß and congratulations to the amazing team of: Paul Beutel, Annalena Blaschke, Caroline Böhme, Rami Bou Hamze, Dat Bui Duc, Marina Degtyareva, Carl Findeisen, Lion Forner, Gustav Friebel, Franz Hartwig, Albrecht Jänchen, Paul Kaufmann, Roswitha Knitt, Hella Krumbach, Jan Kurfürst, Aaron Kutzer, Till Mauksch, Olga Medwedew, Florian Mehnert, Anna Müller, Hanna Müller, Florian Nienkirchen, Lukas Nitzsche, Lena Rohleder, Alexander Rothfuß, Corinna Schaufel, Sophie Schichtholz, Michelle Schmidt, Hannes Schumacher, Caroline Ufer, Laura Ufer, Leonie Wilde, Robin Wischnewski and Charlotte Wustmann.